This weekend I was invited by a classmate I’d reconnected with on Twitter to come down to an anniversary celebration school reunion of the past pupils of St Leo’s College, Carlow. I decided, with some trepidation, to say yes. I also knew that it would be a good way to catch up on White Feathers and see how it was getting on in Carlow and Kilkenny. 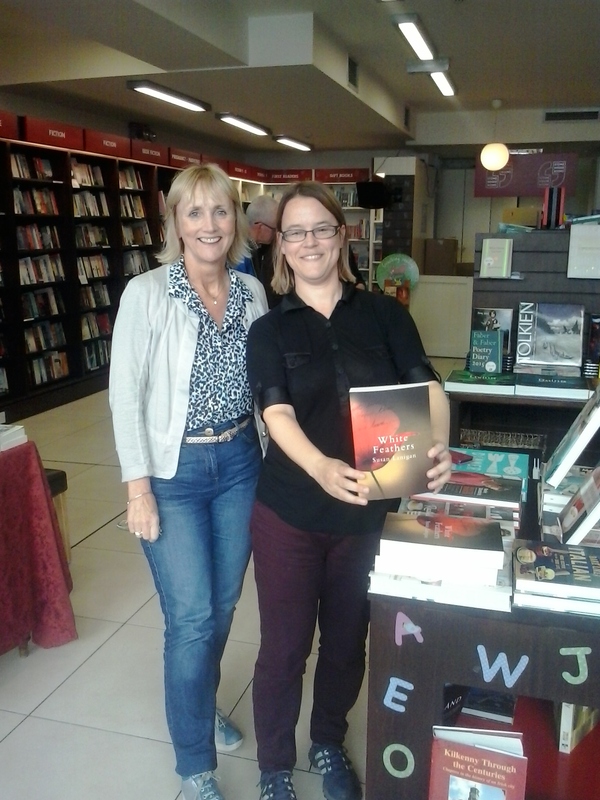 On the way I called into Dubray Books Kilkenny, where Noelle was very kind and helpful and made lots of great suggestions, then The Book Centre and finally Stone House Books, a lovely indie shop. I had a great time saying hello to people and writing my name many times. I’ll get to the reunion in a minute. 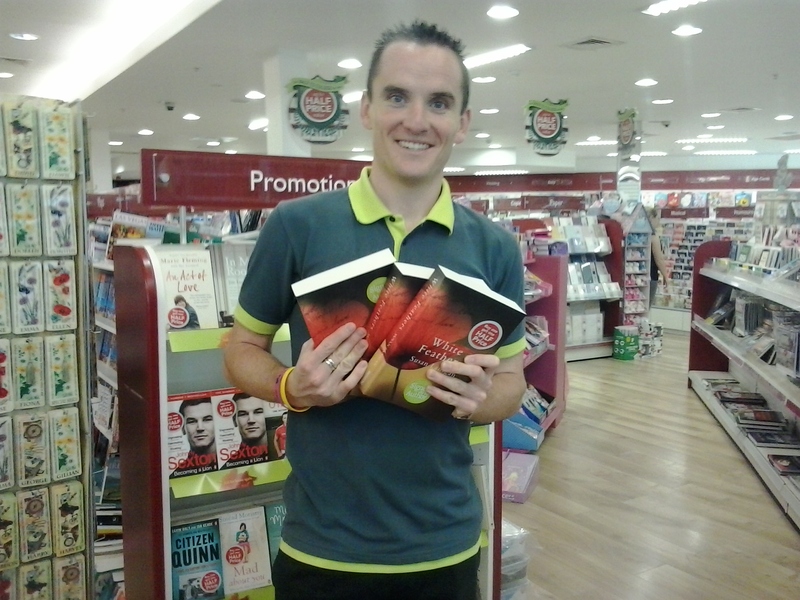 The lovely Fergal from Easons Carlow obligingly holds on to some of the books as I request a photo! And now, to the reunion. Here’s where I make an admission: for a decade and a half, longer, even, I’d avoided the town I had grown up and gone to school in. I won’t go into why except to say in my early twenties there was an estrangement (not major in the scale of terrible things, but still hard for me to deal with at the time) and I felt embarrassed to be in the town, afraid of being recognised, or worse, pitied. Of course this perspective was wildly distorted – the number of people who knew about this was minute, the number who cared minuter still. But still I shrunk around my home town whenever I had to spend time there. I didn’t openly admit to myself that was why, but looking back, it’s obvious. I felt like a loser. So I said yes, and had a lovely weekend. My friend’s apartment was very peaceful and the layout was unusual and full of light. I slept like a baby, well if babies sleep like people that had had several glasses of wine and a Mickey Finn the night before. At the reunion itself I met people, one of whom I’d gone to pre-school with! And so many of them have made social change and done powerful things. One started the Darkness Into Light movement in Carlow and set up the walks for the first time, while another was instrumental in setting up the Educate Together school, runs the board, and along with her family manages to find time to study for a degree in advanced early childcare. 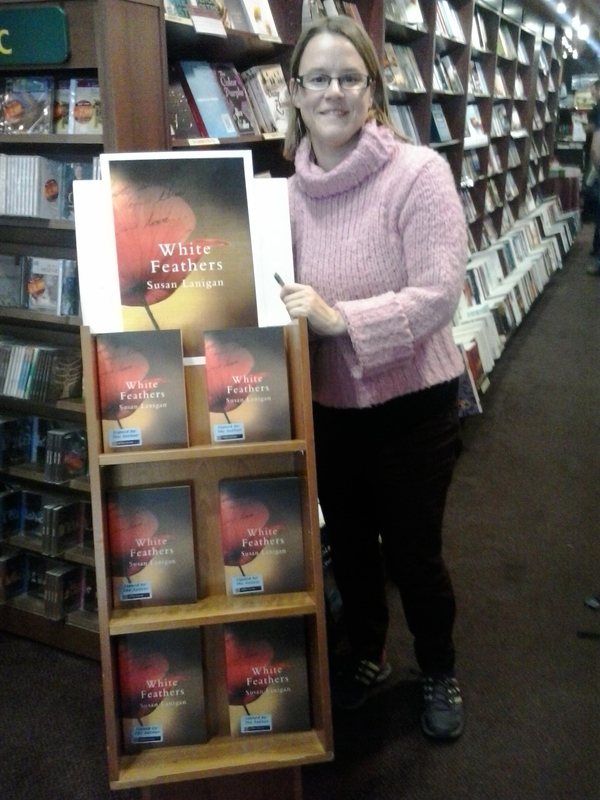 I’m in awe of the determination of these women, and they were all so kind about the book. This experience made my hang-ups melt away. And now when I walk through the town I’m no longer afraid of whom I might bump into. I’m smiling thinking “silly me, that it took me so long”, but I’m just glad it happened, and I’m glad S invited me! It was great to see you after all these years, I am glad you came down for the reunion and the sugar laced shot you partook in!! 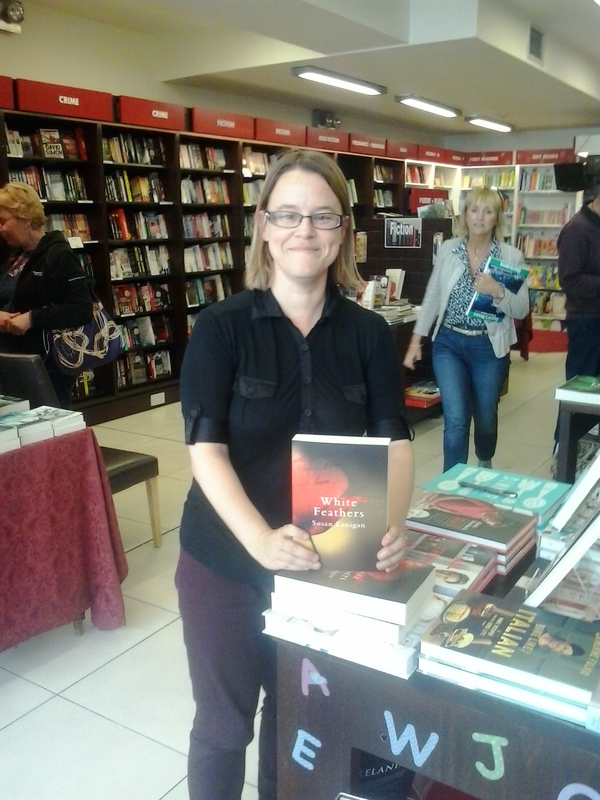 I hope we see you again around carlow soon! I will do my best to try read your book, I may have difficulty in getting to if not further than page 134 but I will try!! Be good and stay in touch!! Thanks for being a sweetheart and great to see you too!